Although the disease breast cancer has one general name, the tumors that define it often contain different genetic mutations. In fact, a single tumor can have groups of cells with different mutations that arise naturally as a tumor grows or that occur after exposure to cancer treatments. This is important because certain mutations allow cancer cells to resist therapies and make the cancer more likely to recur. Dr. Christina Curtis, an NIH Director’s Pioneer Awardee, published two papers in Nature Communications and Nature where she applies computer modeling to genetic data from tumors and clinical follow-up data from patients to get a better understanding of the extent of genetic variability in breast cancer tumors before and after treatment. In the first study, Dr. Curtis used computer models to investigate differences in genetic mutations between a tumor sample taken at diagnosis to one taken after surgery. Patients in this study had untreated tumors prior to surgery or received pre-surgery chemotherapy. Dr. Curtis’s computer modeling showed that genetic differences in breast cancer tumors may be present even before treatment, and in greater numbers than expected. Their data led them to suggest at least two areas of the same tumor should be sampled to accurately identify treatment-induced mutations. They also used the data to find evolutionary factors associated with tumor treatment-resistance, which could lead to better predictions of tumor behavior. In the second report, Dr. Curtis and colleagues obtained data from over 3,000 breast cancer patients and used findings from her past research to group the cancer patients based on the molecular make-up of their tumors, including their genetic make-up. In doing this, she created the largest breast cancer cohort with both molecular characteristics and long-term follow up data to date. From this cohort, Dr. Curtis’s team discovered four groups of patient tumors that were prone to recurring later in life, up to 20 years after diagnosis. Collectively, these recurrent tumors made up about 26% of the tumors assessed. On the other end of the spectrum, they uncovered a group of breast cancers that rarely recur after five years. These molecular subtypes may help to improve predictions of late stage relapses beyond what is generally possible today, and someday guide treatment recommendations. Clonal replacement and heterogeneity in breast tumors treated with neoadjuvant HER2-targeted therapy. Caswell-Jin, J. L., McNamara, K., Reiter, J. G., Sun, R., Hu, Z., Ma, Z., Ding, J., Suarez, C. J., Tilk, S., Raghavendra, A., Forte, V., Chin, S-F., Bardwell, H., Provenzano, E., Caldas, C., Lang, J., West, R., Tripathy, D., Press, M. F., Curtis, C., Nature communications (2019) 565(7739), 361. Dynamics of breast-cancer relapse reveal late-recurring ER-positive genomic subgroups. Rueda, O. D., Sammut, S-J., Seoane, J. A., Suet-Feung, C., Caswell-Jin, J. L., Callari, M., Batra, R., Pereira, B., Bruna, A., Ali, H. R., Provenzano, E., Liu, B., Parisien, M., Gillett, C., McKinney, S., Green, A. R., Murphy, L., Purushotham, A., Ellis, I. O., Pharoah, P. D., Rueda, C., Aparicio, S., Caldas, C., & Curtis, C. Nature (2019). 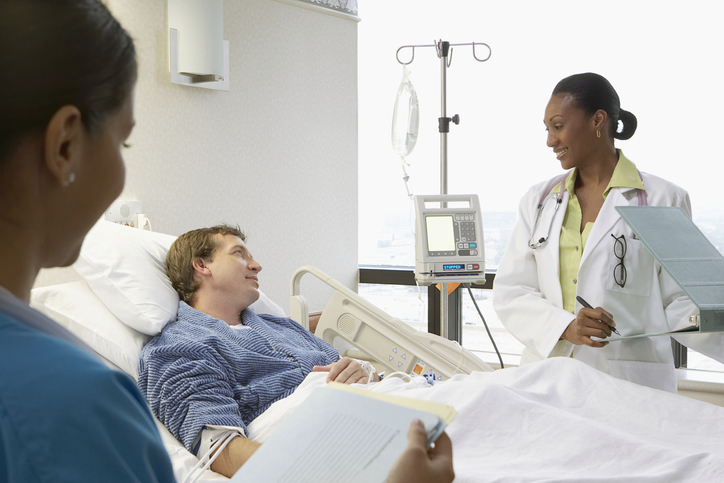 Successful organ transplants are important to the quality of life of patients with end-stage organ failure. Early detection of acute transplant rejection can increase a patient’s chances for survival, by allowing clinicians to intervene and use anti-rejection drugs to save the graft or organ. Unfortunately, current detection approaches, including tissue biopsies, can involve additional surgery, result in sampling errors, or can lead to additional health issues and disease. 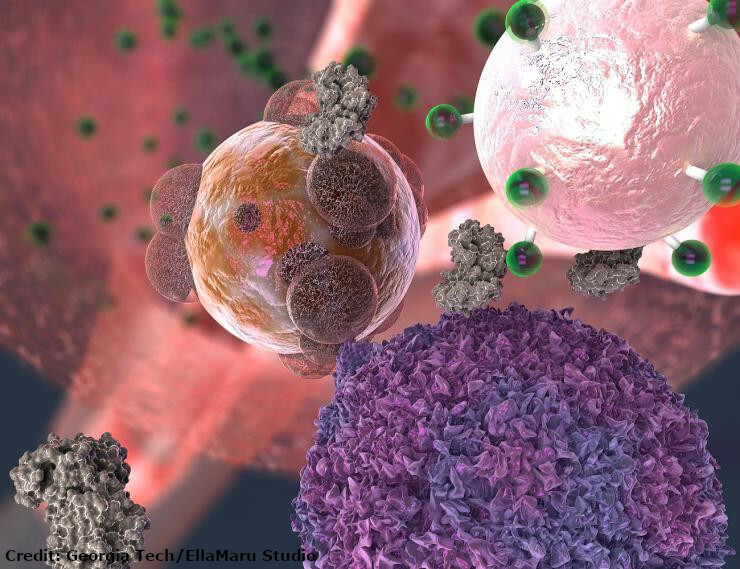 The early stages of organ or graft rejection (when the host’s immune cells attack the new transplant) is linked to increases in some biomolecules. One that has been correlated with this stage is Granzyme B, which acts a signal for cell death. New Innovator Awardee Dr. Gabriel Kwong has developed a groundbreaking nanosensor that detects the early transplant rejection marker, Granzyme B, and activates a fluorescent indicator that is passed in the patient’s urine—no additional surgery required. Dr. Kwong and his team injected the nanosensor into rodent skin graft models and found the sensors could successfully detect early graft failure. Although rigorous testing is needed before it is ready for use in humans, future developments of this technology could allow for better, and less invasive, detection of transplantation failures to give doctors a versatile tool to manage patient health. 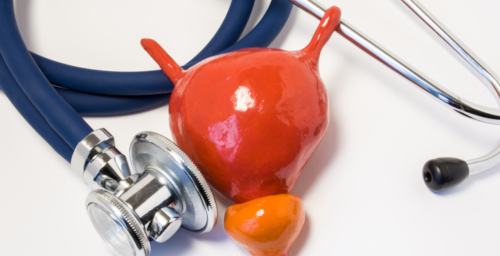 Overactive bladder is a condition that affects millions of people and causes a frequent need to urinate, incontinence, and an increase in bladder voiding. A common treatment uses low levels of electricity to stimulate nerves controlling the bladder. Unfortunately, it’s not precise and can lead to off-target effects and pain. SPARC program awardee Dr. Aaron Mickle developed an innovative approach to this problem by creating a miniature implanted device that can sense and control bladder function in rats. This self-adjusting coordination of devices, that manipulate nerves to control organs, is called a closed-loop system. Instead of activating nerves using electricity, Dr. Mickle and his team used a technique called optogenetics where genetically modified rat nerve cells could be activated using light. In rats, Mickle’s team inserted a stretch sensor that measured changes in bladder expansion over time. The sensor was connected to LEDs. Both were connected by wires to a flexible base-station device implanted in the abdomen. The bladder-stretch sensor communicated data to the base station, which wirelessly transmitted this information to an external device that recorded and monitored bladder function. Rats received the molecule cyclophosamide, which leads to frequent bladder emptying. When the external device detected this abnormal bladder function (i.e. signs of overactive bladder), it transmitted a wireless signal causing light-driven inhibition of nerves affecting bladder emptying—preventing abnormal frequency of urination. Although the animal model of overactive bladder shows promise for this technology, questions remain about whether this approach could be used in humans or to treat other diseases. Additionally, the body’s long-term response to the stretchable sensor is unknown and there are other concerns about possible tissue damage or unintended adhesion to the tissue that affect the device’s function. However, if it ultimately proves fruitful, this work could correct organ dysfunction and manage pain. A wireless closed-loop system for optogenetic peripheral neuromodulation. Mickle, A. D., Won, S. M., Noh, K. N., Yoon, J., Meacham, K. W., Xue, Y., Mcllvried, A. L., Copits, B. A., Samineni, V. K., Crawford, K. E., Kim, D. H., Srivastava, P., Kim, B. H., Min, S., Shiuan, Y., Yun, Y., Payne, M. A., Zhang, J., Jang, H., Li, Y., Lai, H. H., Huang, Y., Park, S., Gereau IV, R. W., & Rogers, J. A. Nature (2019) 565(7739), 361. Faculty mentors are critical to the research training of graduate students and postdoctoral scientists, but there are little data about how faculty members value the time and effort their trainees spend on career development. To address this gap, seven NIH Broadening Experiences in Scientific Training (BEST) institutions conducted surveys of over 700 faculty at their institutions on faculty perceptions of professional and career development for trainees. BEST institutions are conscious that having faculty support activities for trainees is essential and learning more about what faculty believe and value will inform their program development. Results from these surveys suggest that faculty are generally aware that a majority of biomedical trainees will ultimately pursue career paths outside of academia. In general, they also report that while they actively mentor trainees about non-academic career opportunities, the majority do not believe they have a good understanding of skills needed in non-academic career opportunities or the non-academic contacts to help their mentees. Faculty also responded that time spent on training for non-academic careers, like in BEST activities, was acceptable to them and valuable to both graduate and postdoctoral trainees. Interestingly, while the majority of faculty stated they talk with both graduate and postdoctoral scientists about a myriad of professional non-academic careers, most faculty were less sure that their fellow colleagues provided the same kind of discussion, resources, and opportunities. Overall, these findings support the need for BEST and BEST-like programs to help trainees explore expanded career opportunities and support faculty mentors that are not fully prepared to offer this training on their own. Age-related macular degeneration (AMD) is the most common cause of blindness among the elderly. 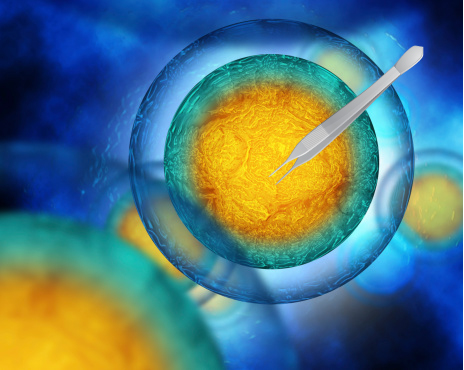 With limited treatment options for AMD patients, scientists turned to regenerative medicine approaches, pursuing an induced pluripotent stem cell (iPSC) based therapy for AMD. 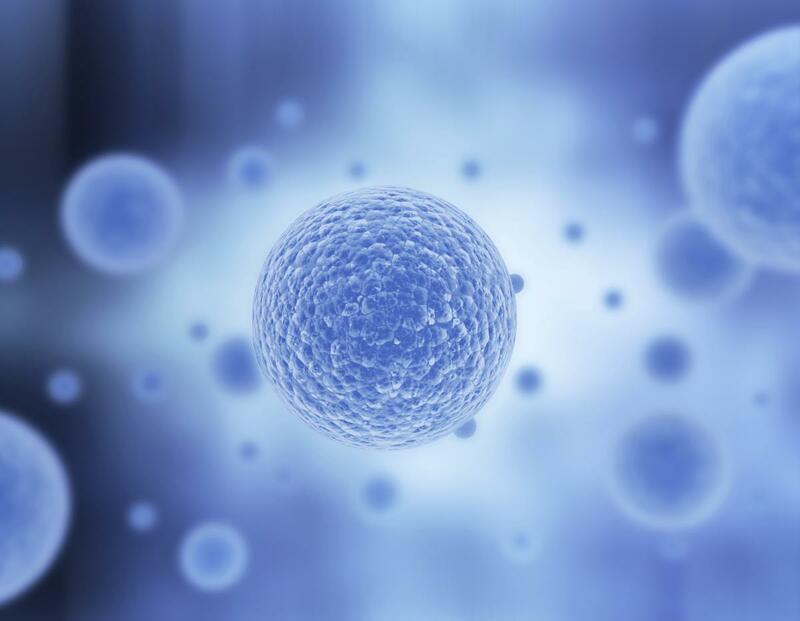 IPSCs are cells taken from patient tissues and coaxed into a stem cell-like state where they can be become any cell type in the body. In a study led by Dr. Kapil Bharti, a Regenerative Medicine Program-funded investigator, dying retinal pigment epithelial (RPE) cells in pigs and rats with retinal deterioration were replaced with human iPSC-derived RPE cells. 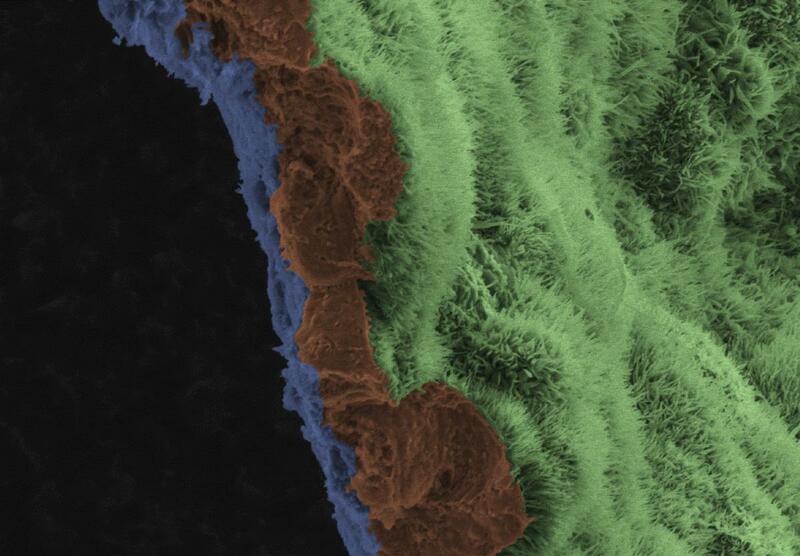 The replacement cells helped nurture photoreceptors, the light-sensing cells in the retina. Both healthy RPE and photoreceptor cells are necessary to maintain vision. 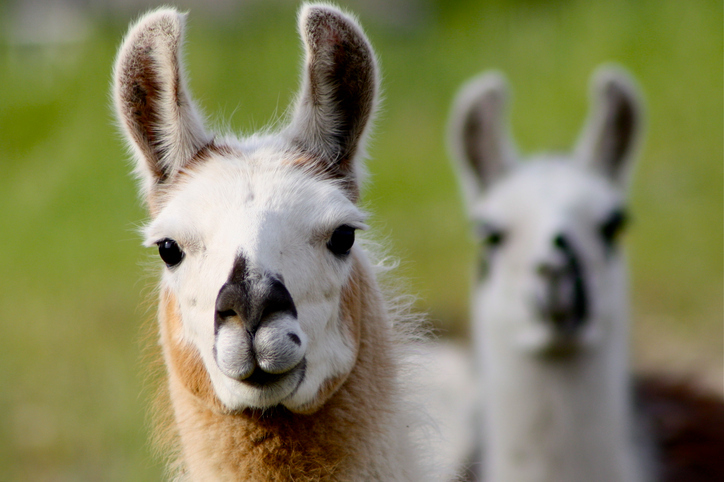 With both cell types now in place, the investigators observed that the iPSC-based therapy successfully prevented blindness in the animals. The findings from this study will inform a first-in-human clinical trial to treat AMD. Image: This is a scanning electron microscope image of an RPE monolayer growing on top of a biodegradable scaffold (blue, left side of image). The polarity of the RPE cells is clearly visible (brown, bottom of cells in middle of image; green, top of cells on right side of image). Dr. Edward Boyden, a 2013 Pioneer Awardee, and his research team developed a technique that could be a giant breakthrough for science—ironically, by making structures very small. Boyden’s team invented a way to make nanoscale 3D objects of various shapes. The technique improves on conventional methods for creating nanostructures, as many are limited to two dimensions, rely on materials limited in function, or are prohibitively slow and challenging. The new method, called “Implosion Fabrication” was an innovative adaptation of a technique developed a few years ago for neuroscience. By placing small brain tissues in a polyacrylate gel (a substance commonly found in diapers), then expanding the gel, the brain tissues also expanded, making them easier to visualize for high resolution imaging. For Implosion Fabrication, Dr. Boyden’s team reversed the process. They created a structure inside of a gel, and then shrank the gel, reducing the structure inside to one-thousandth the volume of the original—creating an intact nano-sized 3D object. First, Dr. Boyden’s team began with polyacrylate gel as scaffolding. The gel was bathed in a liquid, containing the light-reactive molecule fluorescein, which attached to the scaffolding. Afterwards, the fluorescein molecules were precisely targeted by laser light, binding them to specific locations within the gel. This was key, as the bound fluorescein molecules acted as a ‘sticky trap’ to bind other materials the researchers could add including metals, nanoparticles, or potentially even DNA. Because of the specificity in the technique, the attached materials could be arranged to form a 3D structure. Finally, the researchers added acid to shrink the gel, which also reduced the size the object, with over a 1000-fold reduction in volume. How could it be useful? Dr. Boyden’s team is exploring applications for Implosion Fabrication. 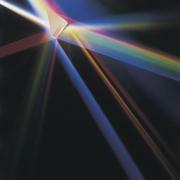 Some of the earliest potential uses could be in optics, creating better lenses for cell phone cameras or microscopes. Because the technique uses equipment many labs already have access to, there is widespread potential for its use in many different topic areas. The accessibility of Implosion Fabrication could act as a field multiplier, laying the groundwork for future innovative nanoscale projects, including nanoscale electronics or robots. Reference: 3D Nanofabrication by Volumetric Deposition and Controlled Shrinkage of Patterned Scaffolds. Oran, D., Rodriques, S. G., Gao, R., Asano, S., Skylar-Scott, M. A., Chen, F., Tillberg, P. W., Marblestone, A. H., & Boyden, E. S. Science, (2018). 362(6420), 1281-1285. New and non-invasive methods to identify muscular dystrophy (MD) are greatly needed to replace painful and highly invasive muscle biopsy techniques. Currently, clinicians and scientists typically isolate an important biological molecule called RNA from muscle cells removed during a biopsy to look for RNA that has not been properly processed through a process called splicing. The mis-spliced RNA can serve as a diagnostic biomarker for MD. However, RNA doesn't have to be obtained only from cells taken from muscle biopsy. In some cases, RNA found outside of cells called extracellular RNA (exRNA), can be isolated from bodily fluids like urine and serve as biomarkers for some diseases. Researchers from the NIH Common Fund’s ExRNA Communication program examined if exRNA in urine could be used to detect the mis-spliced RNA from muscular dystrophy patients. In this study, researchers isolated exRNA from the urine of patients with a certain type of Muscular Dystrophy (myotonic dystrophy type I (DM1)) and from healthy volunteers. They found several different RNA molecules that were not spliced properly in DM1 patients. When 10 of the mis-spliced RNA molecules were all present in one patient, the researchers could predict with 100% accuracy that the people had the disease. The presence of these 10 mis-spliced RNA molecules is the composite biomarker signature the researchers were hoping to identify. While more studies are needed, this approach is a promising alternative to invasive muscle biopsies. The exRNA approach also showed promise in detecting differences in RNA splicing in patients with DM1 who were being treated with drugs designed to target the RNA splicing process. This may also represent a painless and low-cost way to track disease activity or response to drug treatment. Analysis of extracellular mRNA in human urine reveals splice variant biomarkers of muscular dystrophies. Antoury L, Hu N, Balaj L, Das S, Georghiou S, Darras B, Clark T, Breakefield XO, Wheeler TM. Nature Communications. 2018 Sep 25;9(1):3906. In the News: Extracellular RNA in urine may provide useful biomarkers for muscular dystrophy. Mass General News Release. September 25, 2018. Lassa fever is an infectious disease that can cause life threatening hemorrhaging (bleeding) throughout the body. The fever is caused by Lassa virus, which is normally transmitted to humans through contact with food or household items contaminated with urine or feces from infected rodents. 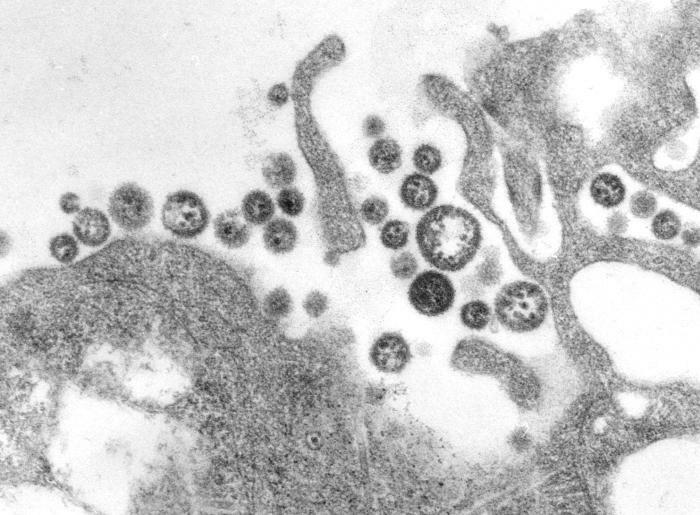 Lassa fever is commonly found in parts of West Africa including Sierra Leone, Liberia, and Nigeria. Confirmed Lassa fever cases in Nigeria spiked over 2017 to 2018. The Nigeria Centre for Disease and Control (NCDC) had little information to explain the increase in cases, which complicated mounting an effective response. There was concern that a particularly infectious strain of the virus or human-to-human transmission of the disease may have caused the spike in cases. This concern led a team of researchers, including members of the NIH Common Fund-supported Human Heredity and Health in Africa (H3Africa) program, to conduct a genetic analysis of viruses in samples collected from Lassa-infected patients. Their results showed that the increase in cases was not due to a single virus strain or to human-to-human transmission. Instead, the virus genetic make-up from the 2018 season was consistent with a diverse range of virus strains previously observed in the rodent population in Nigeria. This means that people were still getting Lassa virus by contact with rodent droppings. Additionally, genetic differences in the virus differed by geographic region, and indicated that natural barriers to rodent movement, like rivers, helped prevent spread of the disease. The researchers reported their findings to the NCDC and other public health officials in real time to help respond to the high number of Lassa fever cases in Nigeria. Furthermore, this study is a great example of how modern research approaches can impact genomic research and public health in Africa. The findings from this study have the potential to improve the health of African populations. Genomic Analysis of Lassa Virus during an Increase in Cases in Nigeria in 2018. Siddle KJ, Eromon P, Barnes KG, Mehta S, Oguzie JU, Odia I, Schaffner SF, Winnicki SM, Shah RR, Qu J, Wohl S, Brehio P, Iruolagbe C, Aiyepada J, Uyigue E, Akhilomen P, Okonofua G, Ye S, Kayode T, Ajogbasile F, Uwanibe J, Gaye A, Momoh M, Chak B, Kotliar D, Carter A, Gladden-Young A, Freije CA, Omoregie O, Osiemi B, Muoebonam EB, Airende M, Enigbe R, Ebo B, Nosamiefan I, Oluniyi P, Nekoui M, Ogbaini-Emovon E, Garry RF, Andersen KG, Park DJ, Yozwiak NL, Akpede G, Ihekweazu C, Tomori O, Okogbenin S, Folarin OA, Okokhere PO, MacInnis BL, Sabeti PC, Happi CT. N Engl J Med. 2018 Oct 17. 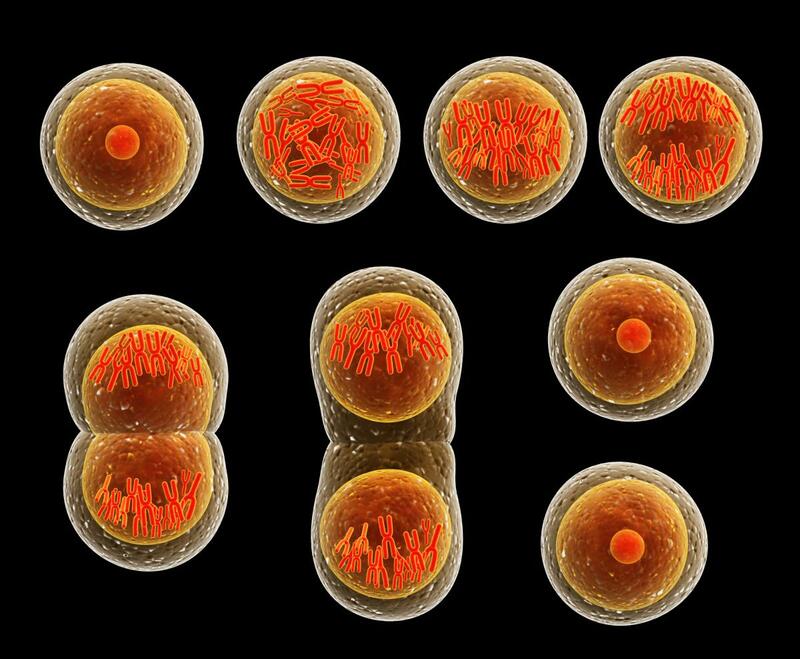 The cell is the fundamental unit of life, but until recently, it was very difficult for researchers to study the activities of an individual cell. Even cells that have the same job in our bodies can differ from each other in what genes are turned on or off and in what proteins they produce, and those differences can be important for understanding human health and disease. Recent advances made it possible to investigate a handful of proteins from a single cell, but Dr. Nikolai Slavov, a 2016 recipient of the NIH Director’s New Innovator Award, just changed the game. His approach now allows researchers to study 100 to 1000 times more proteins in individual cells. 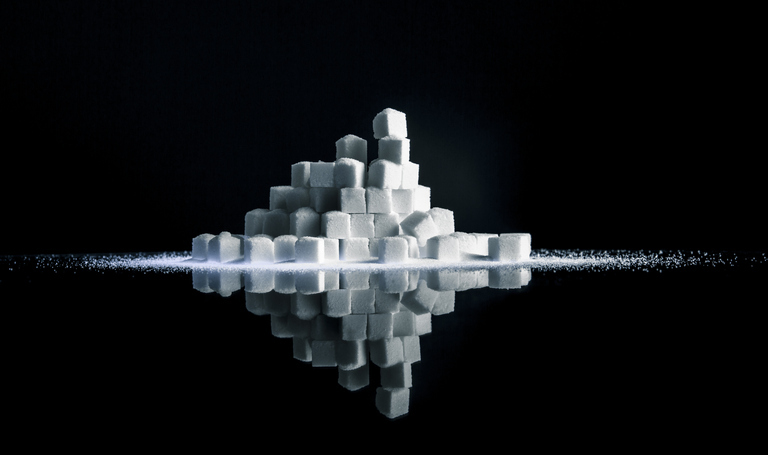 Dr. Slavov and his team used a common research technique called mass spectrometry, which breaks down proteins and analyzes their building blocks, but they took steps to enhance the technique. Before mass spectrometry, Slavov’s team isolated individual mammalian cells, careful not to lose much of the cells’ protein content. Next, the team inventively applied another approach, tagging protein building blocks from the individual cells. 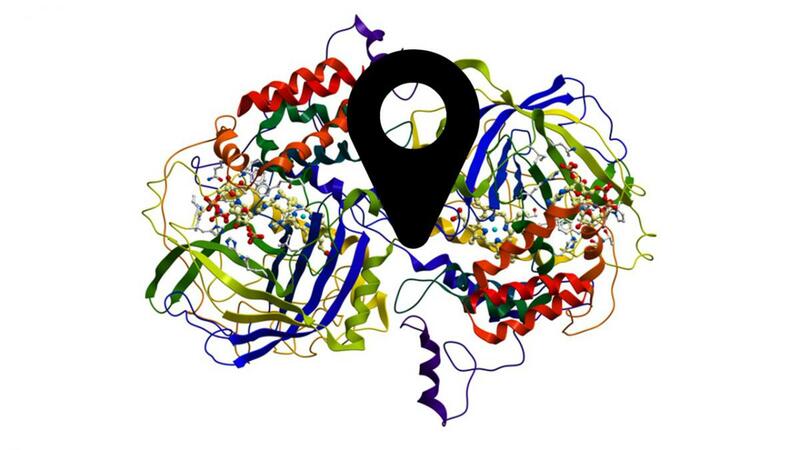 The chemical tags were recognizable during mass spectrometry data analysis and were traced back to the individual cells submitted for analysis. Combining these two steps in an innovative manner greatly increased the number of proteins identified and traced to a particular cell. Putting it into practice, Dr. Slavov showed that he could create protein profiles for individual stem cells allowed to develop randomly into many different cell types making many different proteins. Dr. Slavov’s method helps researchers move to a more concrete understanding of individual cells and the organisms they make up. In the future, this understanding may help patients by identifying biological markers for precision medicine and regeneration therapies. 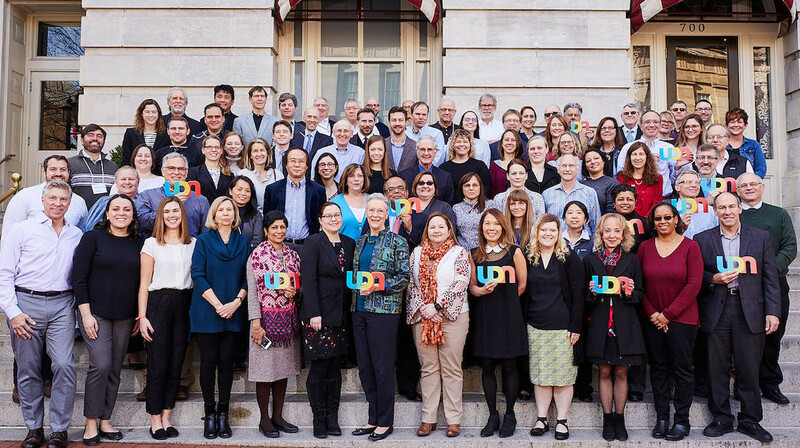 Members of the Undiagnosed Diseases Network (UDN) published a summary of the progress that was made by the network during the first twenty months of accepting applicants in the New England Journal of Medicine. 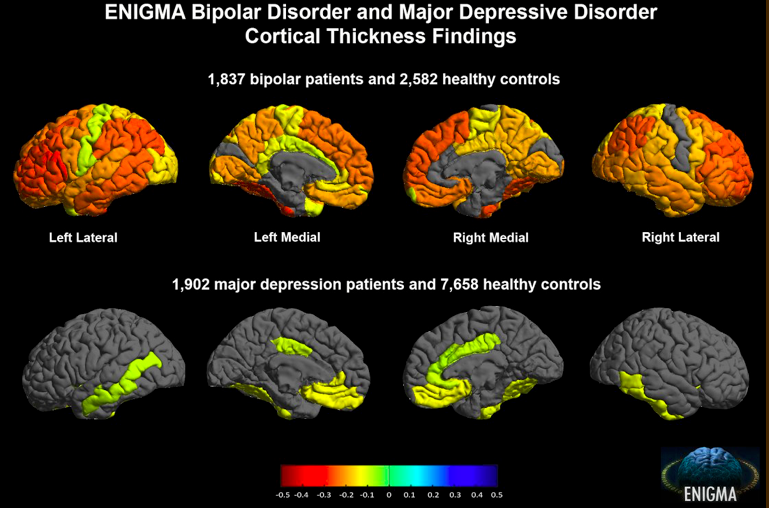 During that time, the network accepted 601 participants that remained undiagnosed by traditional medical practices. Of those people that competed their UDN evaluation in the first twenty months, 35% were given a diagnosis. Many of these diagnoses are rare genetic diseases including 31 previously unknown syndromes. To learn more about this study, read the press releases associated with the publication from Stanford Medicine and Baylor College of Medicine. Effect of Genetic Diagnosis on Patients with Previously Undiagnosed Disease. Splinter K, Adams DR, Bacino CA, Bellen HJ, Bernstein JA, Cheatle-Jarvela AM, Eng CM, Esteves C, Gahl WA, Hamid R, Jacob HJ, Kikani B, Koeller DM, Kohane IS, Lee BH, Loscalzo J, Luo X, McCray AT, Metz TO, Mulvihill JJ, Nelson SF, Palmer CGS, Phillips JA 3rd, Pick L, Postlethwait JH, Reuter C, Shashi V, Sweetser DA, Tifft CJ, Walley NM, Wangler MF, Westerfield M, Wheeler MT, Wise AL, Worthey EA, Yamamoto S, Ashley EA, Undiagnosed Diseases Network. N Engl J Med. 2018 Oct 10. The data used for the study did have some inherent limitations. Sales made at smoke shops and dispensaries were excluded. 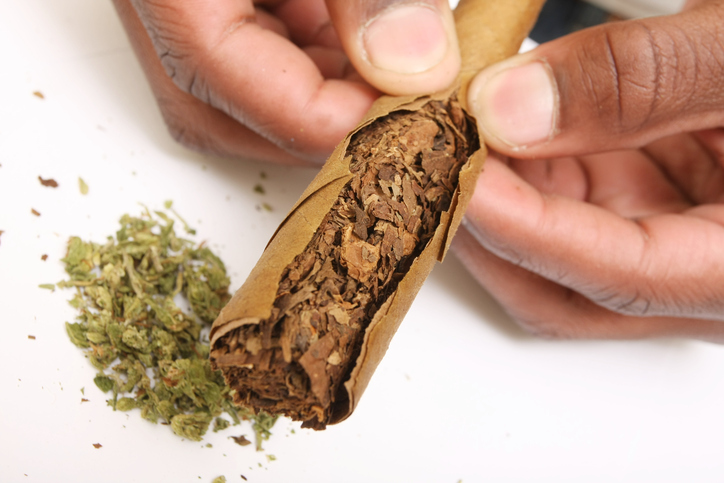 Additionally, the data do not allow the researchers to conclude how cigarillos are being used or if legalization specifically increases sales of “blunt maker-friendly” products. To build on the current analysis, follow up studies should look at sales “per person” as well as medical marijuana industry. As this is one of the first investigations to focus primarily on legalized recreational marijuana use in this context, Giovenco hopes that as legalization spreads to more states, research will continually be performed to question how recreationally legal marijuana is connected to tobacco use. Reference: Cigarillo sales in legalized marijuana markets in the US.. Giovenco, D. P., Spillane, T. E., Mauro, C. M., & Martins, S. S. April 2018. Drug and alcohol dependence 185:347-350. The gut, or gastrointestinal tract, is an organ system responsible for the digestion of food. Several human diseases and conditions, including gastroparesis, obesity, and reflux disease, are associated with impaired regulation of gut function. Along with pharmaceutical, surgical, and dietary interventions, which are not always successful in treating these disorders, researchers have begun to explore electrical stimulation of the vagus nerve to precisely control gastrointestinal function. 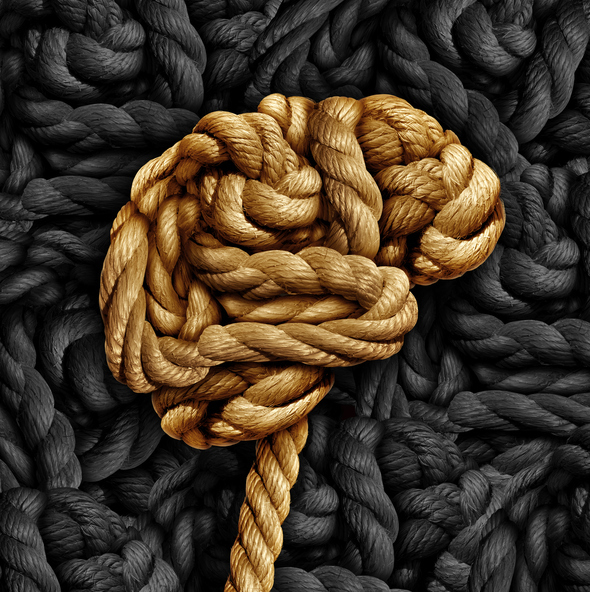 For this treatment strategy to work, scientists must understand the function of vagal nerve signals carried between the central nervous system and the gut. A SPARC program-funded research team at Purdue University is studying the effect of vagus nerve stimulation on emptying the stomach as food moves into the small intestine (gastric emptying) in rats. They observe the process of gastric emptying using a technique called Magnetic Resonance Imaging (MRI). 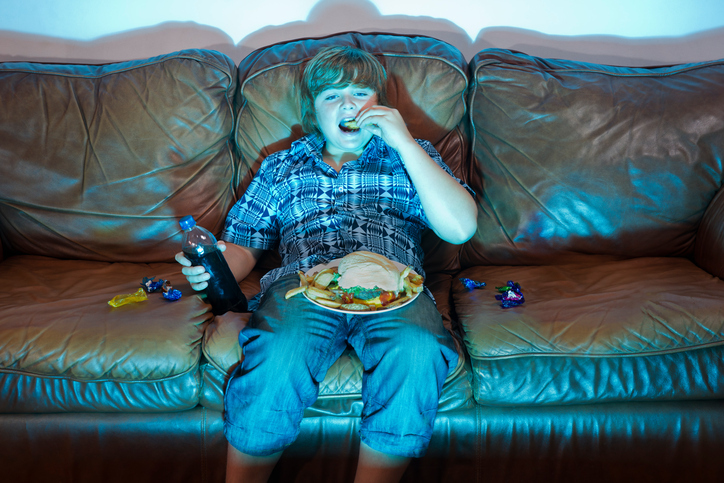 They found that selective electrical stimulation of the vagus nerve significantly increased gastric emptying through relaxation of the pyloric sphincter, a valve-like band of muscle that separates the stomach from the small intestine, which allows movement of food out of the stomach. 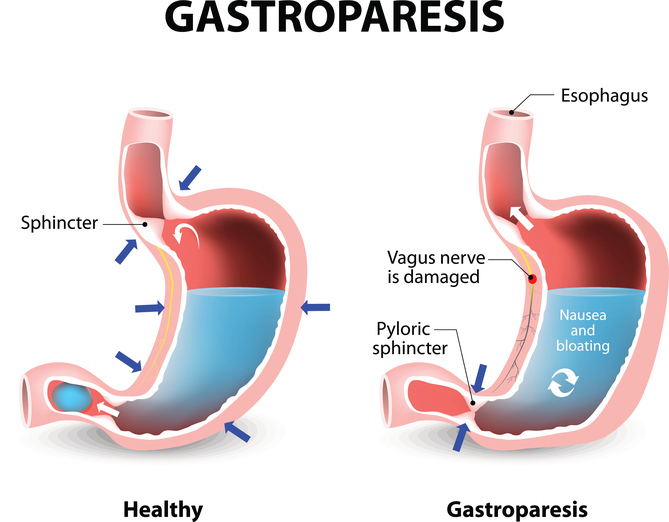 These findings suggest that electrical stimulation of the vagus nerve could be used to improve gut function to treat gastric emptying disorders like gastroparesis. In addition, their MRI protocol describes a new non-invasive method to assess the effectiveness of many different types of therapies on gastrointestinal function. Vagus nerve stimulation promotes gastric emptying by increasing pyloric opening measured with magnetic resonance imaging. Lu KH, Cao J, Oleson S, Ward MP, Phillips RJ, Powley TL, and Liu Z. September 2018. 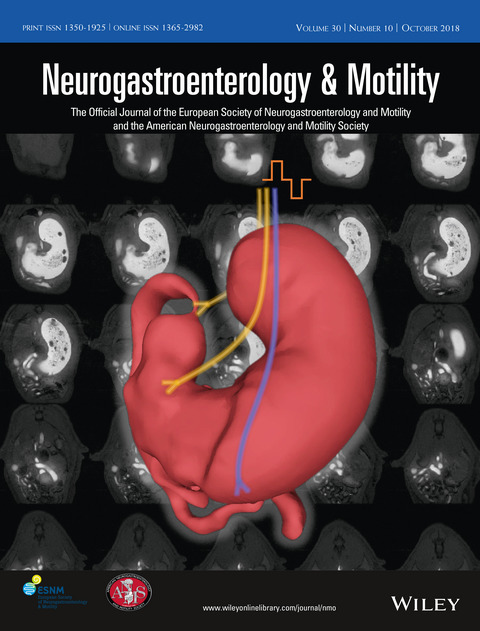 Wiley Publishers: Neurogastroenterology & Motility. e13380. Mediator and RNA polymerase II clusters associate in transcription-dependent condensates. Cho, WK, Spille, JH, Hecht, M, Lee, C, Li, C, Grube, V, and Cisse, II. Science 361, 412-415. 2018 July 27. Imaging dynamic and selective low-complexity domain interactions that control gene transcription. Chong, S, Dugast-Darzacq, C, Liu, Z, Dong, P, Dailey, GM, Cattoglio, C, Heckert, A, Banala, S, Lavis, L, Darzacq, X, and Tijan, R. Science 361 (6400). 2018 July 27. A national movement is building to provide transparent information on career paths of biomedical graduates and postdoctoral alumni. 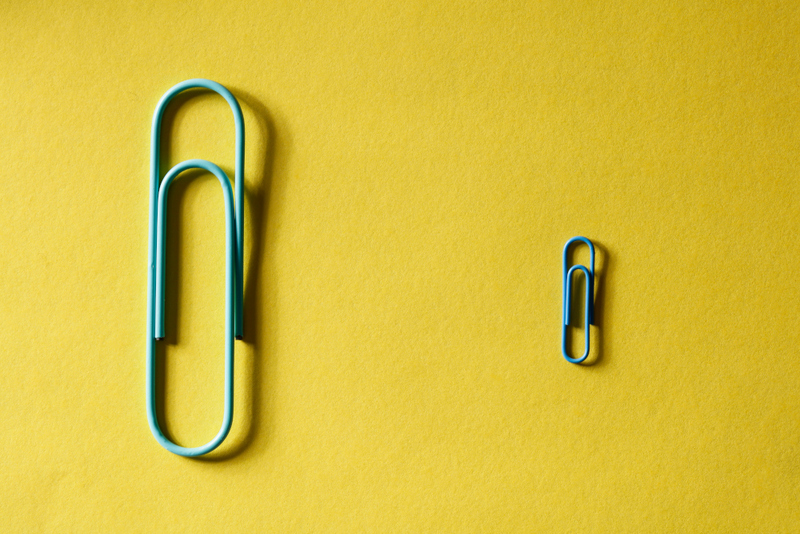 One problem standing in the way is that institutions do not yet have an intuitive, complete, and replicable career classification (or “taxonomy”) that concisely and decidedly describes alumni career outcomes. To address this problem, several members of the NIH BEST consortium, Association of American Medical Colleges Graduate Research Education and Training (GREAT) group, and Rescuing Biomedical Research (RBR), collaborated to propose a three-tier career taxonomy. The first tier includes five career sectors (e.g. Government or For-Profit), the second tier includes five career types (e.g. primarily research or primarily teaching), and the third tier defines 24 job functions (e.g. administration or regulatory affairs). The developed classification is also suitable for use in other academic disciplines beyond the biomedical research fields. Using a uniform classification across institutions in reporting outcomes of alumni has many advantages. 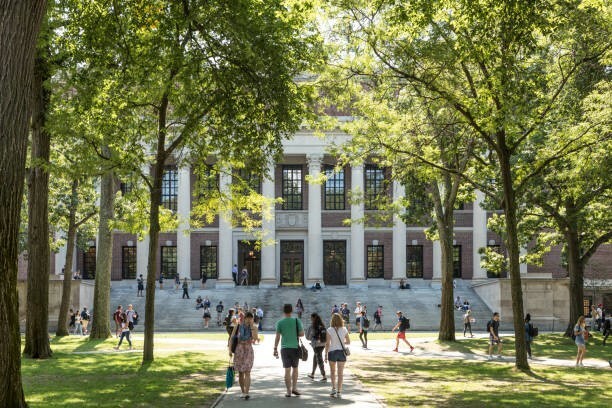 It is valuable for comparing outcomes between institutions and providing data to potential applicants to help select institutions that may more closely match their career ambitions. Furthermore, being aware of the outcomes of trainees should help the training and mentoring community comprehensively aggregate, analyze, and disseminate information about career outcomes to guide professional development programs, teaching curricula, and possibly influence faculty opinions. 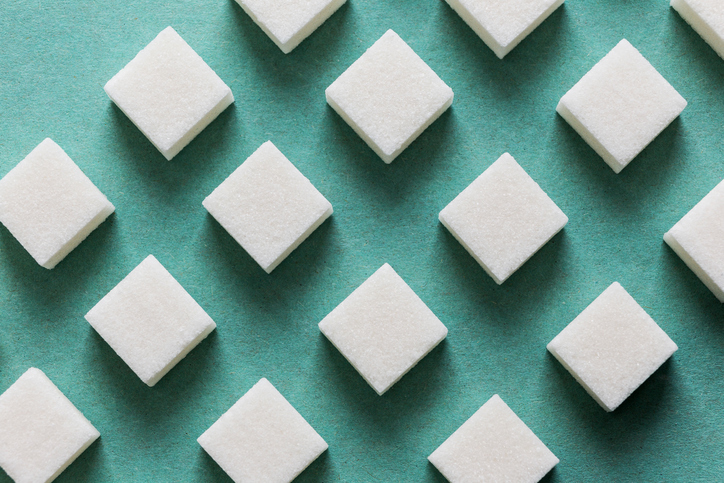 Importantly, many BEST institutions have already reported their data publicly for several years on websites and in publications using a similar taxonomy. Many schools outside the BEST consortium are doing this too (e.g. Stanford, University of Pennsylvania), and it is likely to become a standard in the field soon. Several NIH BEST consortium institutions are piloting the newly developed taxonomy for their institution’s doctoral alumni career outcomes and are contributing these data to populate a developing aggregated database. Combined data could be analyzed and reported to funding agencies, the public, science policymakers, and trainees to better understand and appreciate the full range of careers that Ph.D. trained scientists follow. Genes are segments of our DNA that code for proteins that determine our traits. Over 90% of our DNA does not encode genes and was long considered “junk” DNA that had no known purpose. We now know that much of this DNA does have a purpose, for example, some of this non-coding DNA contains enhancers- regions of DNA that help “turn on” genes to ultimately produce proteins. The timing of turning a gene on is very important for normal development and issues with timing can lead to development of disease. 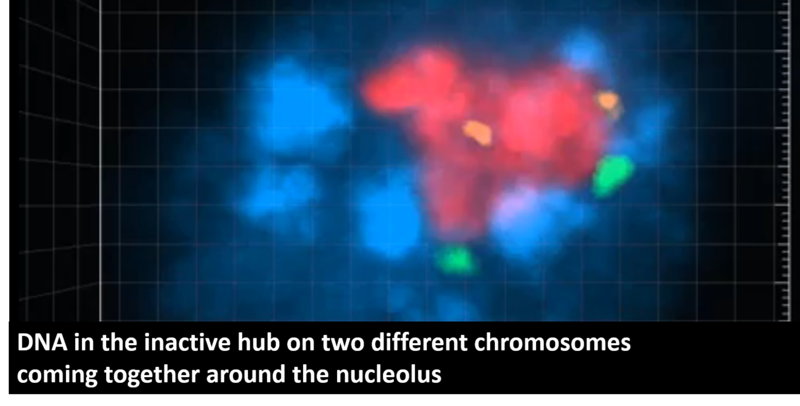 Enhancers are typically located far away from the gene they turn on, and how the enhancers find their target genes within the nucleus of the cell and how they interact with gene- coding regions to result in protein production is not well understood. 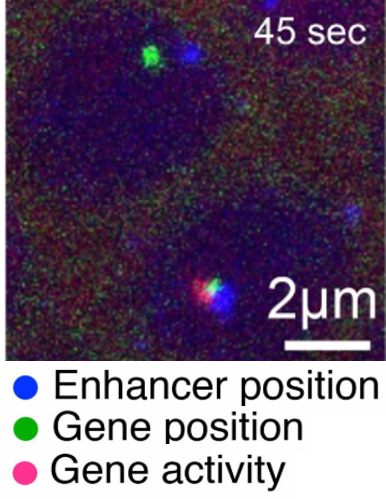 In a recent study by 4D Nucleome program-funded investigator Dr. Thomas Gregor and his research team, a live imaging approach was used to track the position of an enhancer and its target gene in developing fly embryos, while also monitoring gene activity. Using this technique, they were able to observe the moment when a gene was turned on. The results showed that close proximity between the enhancer and target gene was required not only to turn the gene on, but also to keep the gene active. When the enhancer disconnected from the target gene, the gene turned off. They also found that when the gene was turned on, the structure formed by the enhancer and target gene became more compact, and the results suggest changes in the 3D DNA arrangement improve the stability of this structure, allowing the gene to remain active. The results of this study improve our understanding of how gene activity is regulated and may help provide insight into how improper regulation of gene activity leads to developmental defects and disease. The behavior and function of individual cells in the body can vary greatly, even between cells that are very close together. These differences can play a role in determining health, disease, and therapy outcomes, making the ability to study single cells crucial. The NIH Common Fund Single Cell Analysis Program (SCAP) launched in 2012 to speed up the discovery, development, and translation of approaches to analyze single cells in humans. 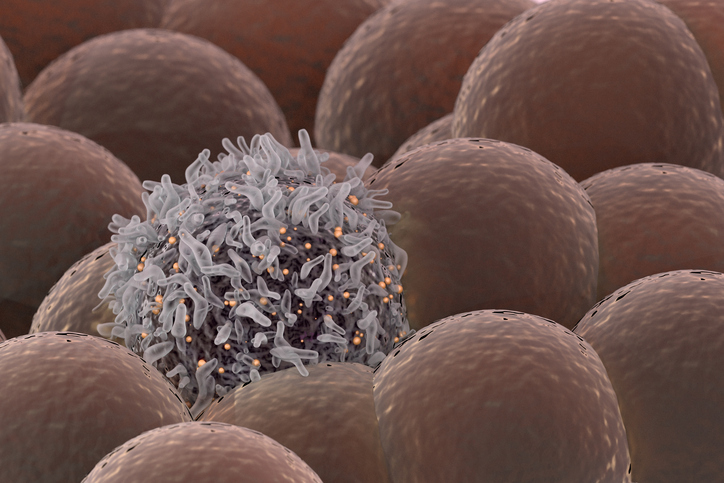 A variety of new tools and technologies for single cell analysis were developed through the program. SCAP funding ended in 2017. During the period of SCAP funding, there was a significant increase in interest and funding for “single cell analysis” studies, indicating that the program accelerated research in the field. The technological advances made possible by SCAP will undoubtedly have a broad impact on health and disease research. 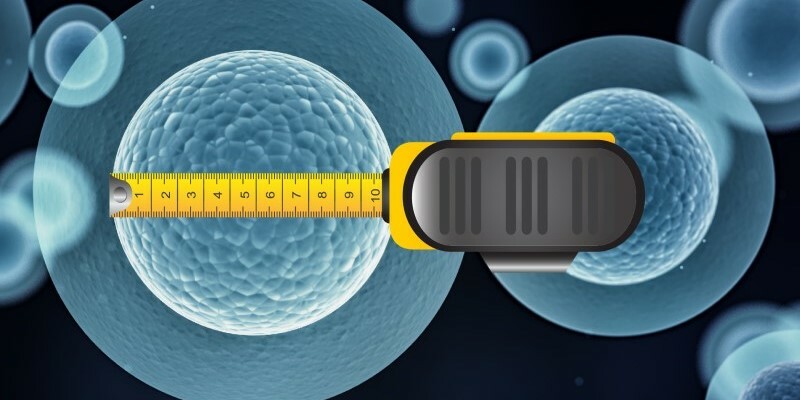 Variation in cells in human tissues can play a role in determining health, disease, and therapeutic outcomes, making the ability to analyze single cells critical. The NIH Common Fund Single Cell Analysis Program (SCAP) launched in 2012 to speed up the discovery, development, and translation of approaches to analyze single cells in humans. 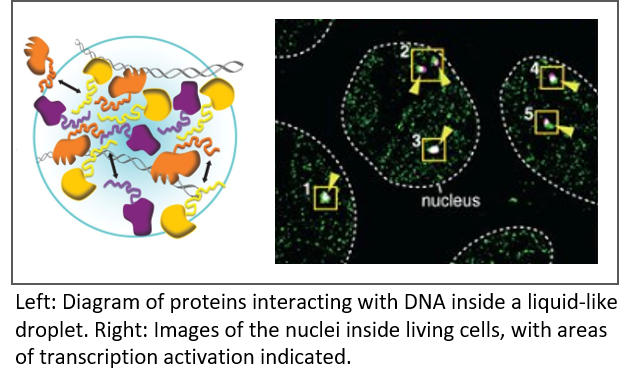 SCAP particularly focused on technology development and a variety of single cell technologies were developed to analyze DNA sequence, DNA methylation, chromosome conformation, and chromatin state. Technology development evolved around three broad themes: droplet-based sequencing approaches, enhanced spatial resolution via fluorescent-based techniques, and barcoding techniques to multiplex microscopic approaches. In 2014, SCAP instituted a grand challenge, called “Follow that Cell,” to stimulate development of new tools for analyzing changes in individual cells over time. The winning project demonstrated a new nanopipette technology that can be used to repeatedly and non-destructively monitor the molecular properties of single cells over time. In addition, the program established the SCAP Transcriptome Consortium project, which developed a public portal containing phenotypic information and whole transcriptome data from 56 human subjects. 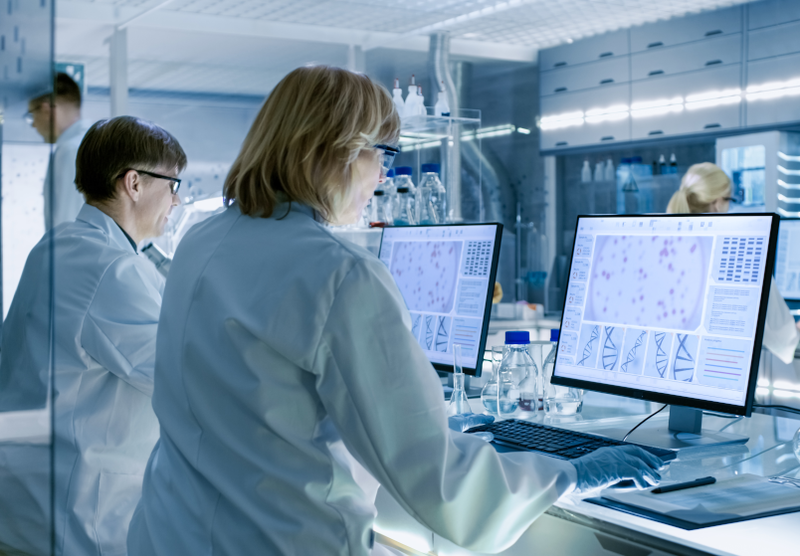 SCAP-developed resources have been used by the Genotype-Tissue Expression (GTEx) program and the Human BioMolecular Atlas Program (HuBMAP), among others. SCAP funding ended in 2017. The technological advances made possible by SCAP, particularly in single cell RNA-seq and multiplexed imaging combined with computational methods, will undoubtedly have a broad impact on health and disease research. Reference: Accelerating a Paradigm Shift- the Common Fund Single Cell Analysis Program. Roy AL, Conroy R, Smith J, Yao Y, Beckel-Mitchener AC, Anderson JM, and Wilder EL. Science Advances. August 2018. Understanding the causes of inflammatory bowel disease is difficult because the associated abdominal pain can occur without any obvious changes to the structure of the colon or signs of inflammation. Because pain sensations can be carried by sensory neurons, one factor in the generation of abdominal pain could be abnormal sensory neuron activity, which can be influenced by secretions from cells called “epithelial cells” that line the interior of the colon. 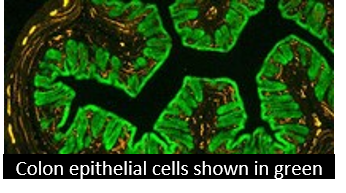 Understanding interactions between colon epithelial cells and sensory neurons could help us understand and treat abdominal pain. To study the interactions between the types of cells, a SPARC-funded team led by investigators Dr. Brian Davis and Dr. Kathryn Albers used genetically modified mice that contain blue light-activated colon epithelial cells to examine signaling between colon epithelial cells and neurons. These mouse colon epithelial cells could be specifically stimulated by blue light without any physical or chemical stimulation, allowing the study of their effects apart from other factors. Stimulating the epithelial cells caused activity in the pain-sensing neurons and behavioral responses similar to those that result from pain-inducing physical stimulation of the colon. Further study found that firing of neurons was likely triggered by release of a molecule called ATP from the colon epithelial cells. The results indicate that the activity of the colon epithelial cells alone, without any physical or chemical stimulation, could lead to abdominal pain through activation of the pain-sensing neurons. This study advances the understanding of how colon sensory neuron activity is regulated and could aid in development of new treatment strategies for inflammatory bowel disease. Reference: Optogenetic Activation of Colon Epithelium of the Mouse Produces High-Frequency Bursting in Extrinsic Colon Afferents and Engages Visceromotor Responses. Makadia, PA, Naijar, SA, Saloman, JL, Adelman, P, Feng, B, Margiotta, J, Albers, KM, Davis, BM. June 2018. J Neurosci. 38(25): 5788-5798. Reference: Multiplex glycan bead array for high throughput and high content analyses of glycan binding proteins. Purohit, S, Tiehai, L, Guan, W, Song, X, Song, J, Tian, Y, Li, L, Sharma, A, Dun, B, Mysona, D, Ghamande, S, Rungruang, B, Cummings, RD, Wang, PG, and She, JX. Nature Communications. 2018 Jan 17. 9(1):258.